Traditional never really goes out of style. I consider traditional like timeless. 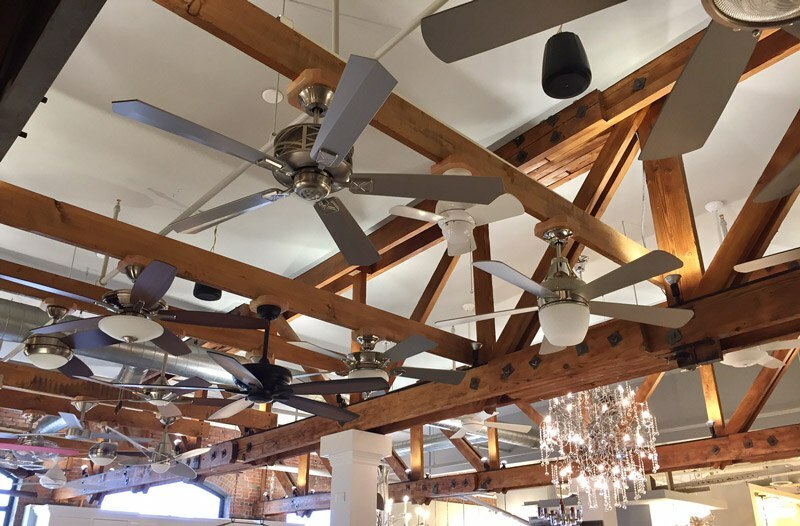 Traditional ceiling fans can be formal or ornate, inspired by classic architectural styles that can add warmth to a space. 1. 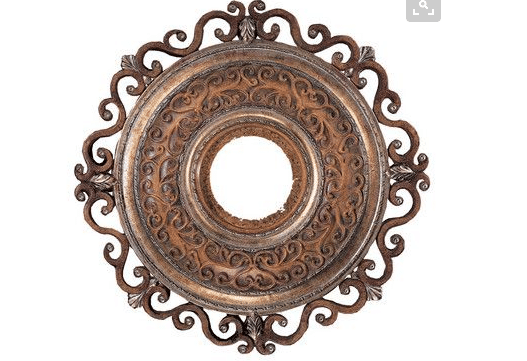 What room is the fan going into? 2. What is your ceiling height? 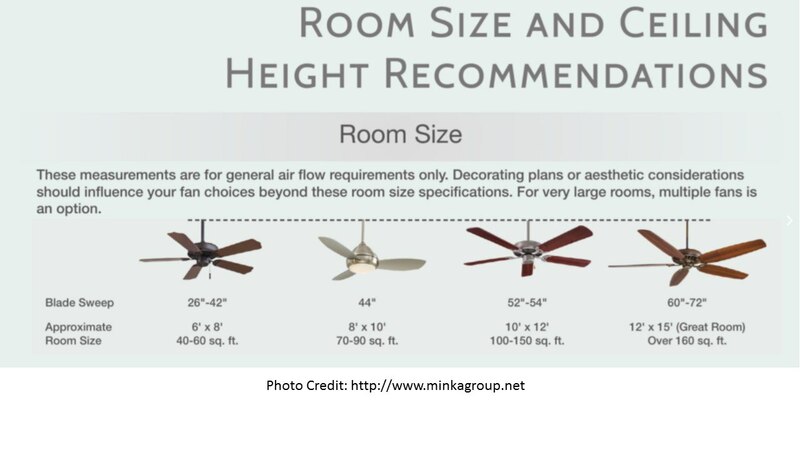 You don't want to get a fan that is too big or too small for your space. Having a sloped ceiling requires an extra component called the sloped ceiling adapter so the fan will sit straight on the slope. 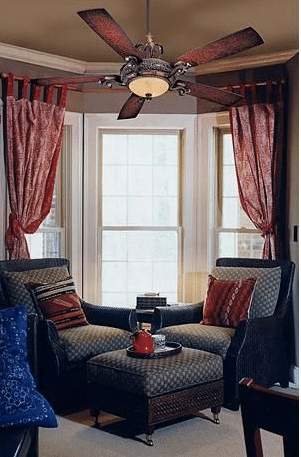 Here are some great ceiling fan options with a traditional style. 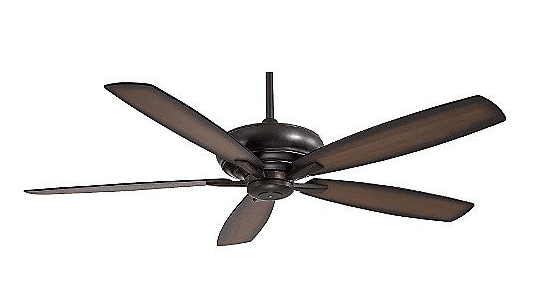 Minka Aire Bolo Collection 52"
The Bolo collection is a nice traditional fan with 5 blades. This collection comes in 4 different finishes. The light is included has 3-60W candelabras, includes a handheld remote control system and also has a cap for non-light use. The craftsman is inspired by the craftsman architecture of the early 1900s. It can also be used for interior and exterior. Minka Aire Supra 32", 44", 52"
What I love about the Supra is you have option in size, with or without a light kit, and different finishes. 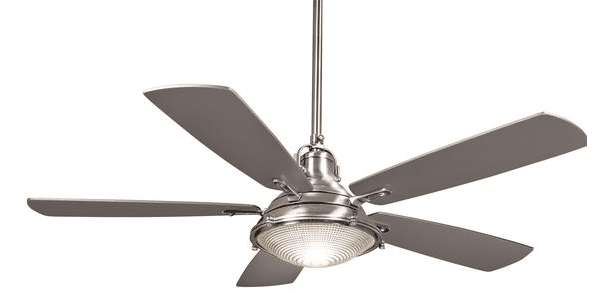 When getting a ceiling fan that is a pull chain and you want to convert it so that you can use a remote or wall control, you will need to purchase a receiver and wall/remote control. (The receiver is what the remote/wall control talks to) RCS223 remote and receiver is $59.95. What is great about any of the Supra collection is that you can put a universal light kit on the fan! Note: Please contact us for pricing on different light kits. 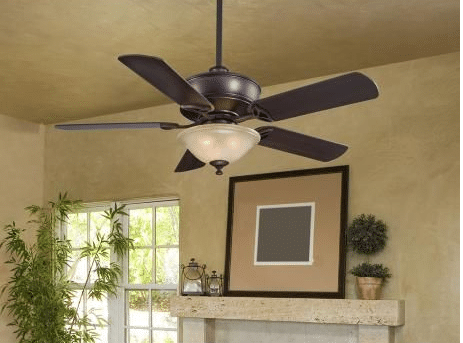 Minka Aire Napoli 56" & 68"
One of our popular traditional fans is the Delano. The Delano II is for lower ceilings but still want a traditional look. The kola-xl is nice for a great room, you can leave it as is or you have the option to put a light kit if needed. 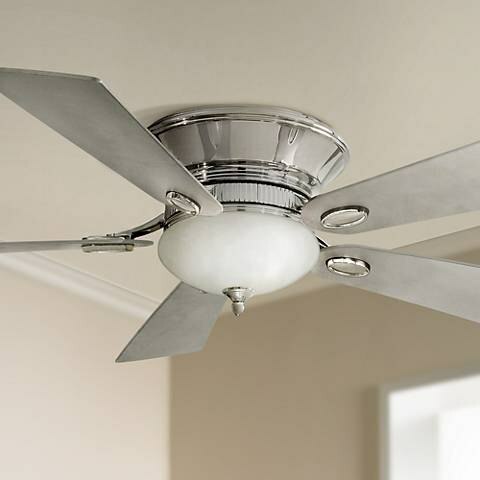 One of the new fans from Minka Aire is the 56” Groton five blade, it comes in multiple finishes. 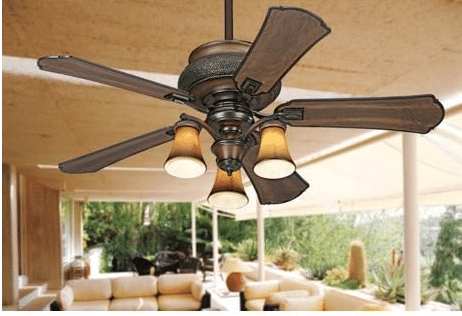 What I really like is that this fan can be used for interior or exterior, and on a side note you could have this fan in the living room and use this Hudson valley flush mount light in a hallway where you would see both fan and light. 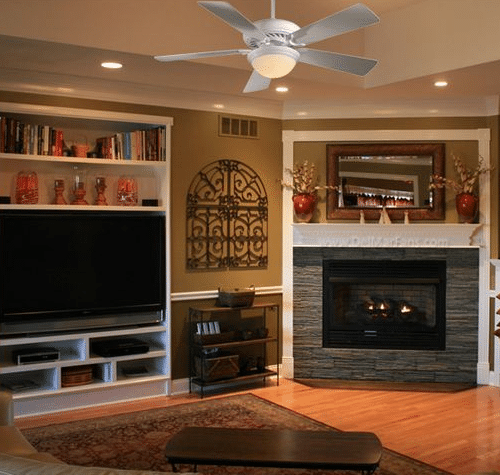 What is great about a ceiling fan is that its purpose is to move air in a room. 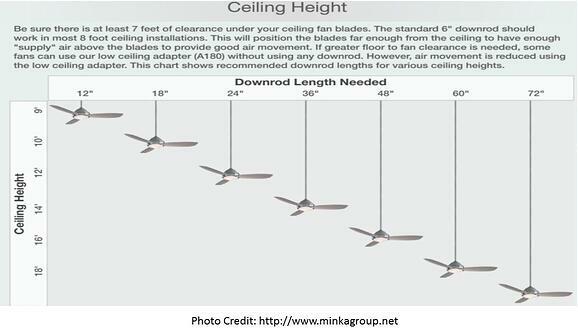 Having central air or an air conditioner chills the air, but a ceiling fan pushes the air around, which is nice to have in the winter time as well to move the hot air around. For a bedroom it is nice to be able to have cool air from the fan than to have the AC running at night. Want more info on Kitchen Lighting? Get the Yale Kitchen Lighting Buying Guide with articles on how to properly illuminate your space using task, decorative, accent and ambient lighting. Well over 225,000 people have read a Yale Guide.